I Don’t Want to Treat Dog Cancer! Don’t want to treat dog cancer? Dr. Dressler talks about how that’s totally, 100% understandable. Also, none of our business. Dr. Dressler is “the dog cancer vet” and author of The Dog Cancer Survival Guide. Here’s his own True Tail of how he came to be a pioneer in education and treatment of dog cancer. 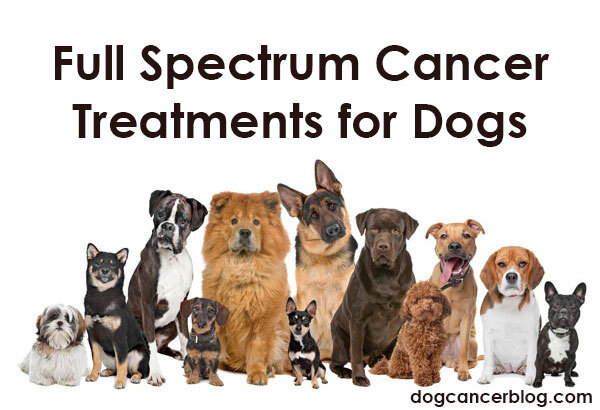 Forget dogma: Full Spectrum Cancer Care includes ALL cancer treatment for dogs that work, no matter where they come from. Just what helps YOUR dog. 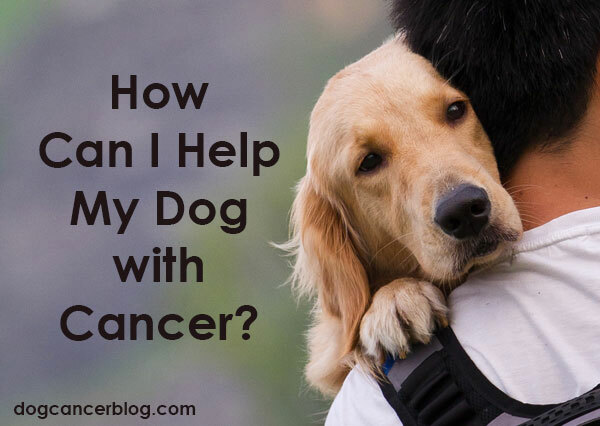 How can I help my dog with cancer? It’s the first question dog lovers ask. Dr. Demian Dressler answers it. Warning: his answer might not be what you expect. Do dogs know when they are dying? Maybe, but Dr. D is pretty sure they don’t experience death like we do. Here’s what dogs would say if we could only hear. Is combining magical thinking and dog cancer a good idea? Yes. In fact, it’s a GREAT idea. Overwhelmed and anxious, and unsure how to make decisions about dog cancer treatments? Read this article to find out how to “think like an entrepreneur” and calculate the risk. A worried dog has a harder time healing — and dogs mostly worry in response to OUR worry. When it comes to reducing anxiety in dogs with cancer, what’s a dog lover to do? Dr. Dressler’s Dog Cancer Diet is appropriate for most dogs, but dogs with mast cell tumors need a few modifications. Read this if your dog needs a low-histamine diet. Dr. Dressler and Dr. Ettinger talk about some of the all natural, holistic, and homeopathic approaches to cancer care for dogs. Is Optimism Appropriate in Dog Cancer? Is It Wrong To Treat Dogs for Cancer? Dog cancer pain control is really important, especially because dogs hide their pain symptoms so well. Learn how to treat your dog’s pain. Herbs in a Dog Cancer Diet? Is The Hammer The Tool For The Job? But my vet has not heard of this…. Is it for me or for my dog?